His beautiful wife and best friend Terri was anxious for his return. They had already been apart more than five of their 15 years of marriage, but she supported him every step of the way. His mind drifts back through his 40 year career during his run to search his soul for an answer. The internal tug of war between his love for Terri and the sound of distant drums was tearing him apart. 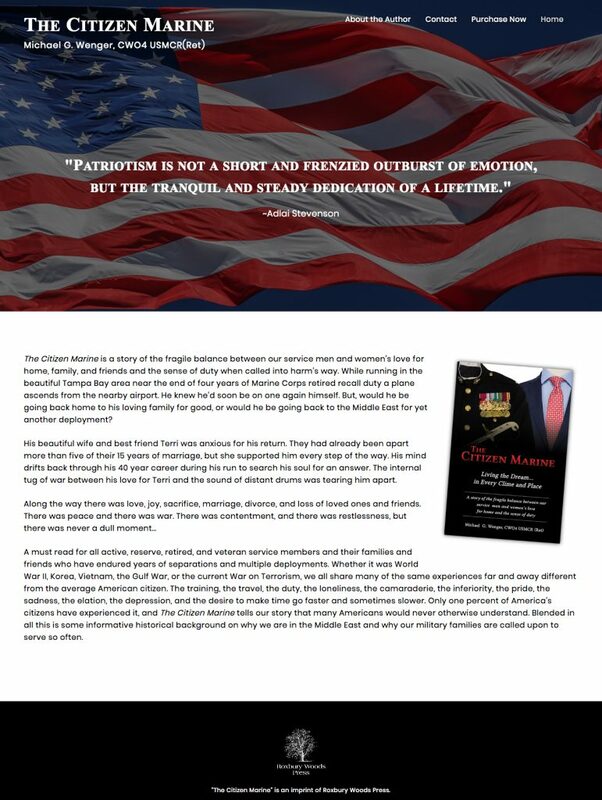 A must read for all active, reserve, retired, and veteran service members and their families and friends who have endured years of separations and multiple deployments. Whether it was World War II, Korea, Vietnam, the Gulf War, or the current War on Terrorism, we all share many of the same experiences far and away different from the average American citizen. The training, the travel, the duty, the loneliness, the camaraderie, the inferiority, the pride, the sadness, the elation, the depression, and the desire to make time go faster and sometimes slower. Only one percent of America’s citizens have experienced it, and The Citizen Marine tells our story that many Americans would never otherwise understand. Blended in all this is some informative historical background on why we are in the Middle East and why our military families are called upon to serve so often.